Haryana Steelers Coach Ranbir Singh Khokhar said the senior players from his side will have to step up and make each performance count as the team gets ready to face the Jaipur Pink Panthers at the Harivansh Tana Bhagat Indoor Stadium, in Ranchi - their second match against Manjeet Chillar's side, on Thursday. The Steelers, who were handed a twelve-point loss by the Puneri Paltan on Tuesday are currently second on the Zone A standings with 49 points in 16 games. Reflecting on the loss against Pune, Coach Khokhar ruled out inexperience as an excuse. “The performances of our young players, especially the defenders have given the seniors a lot to think about. (During yesterday's match), they were able to keep Deepak Hooda quiet for the majority of the game. The plans we made against their raiders worked well but our experienced raiders were unable to execute the strategies we made. Our junior players did exceptionally well, if only he seniors would have performed, we would have had a much better result." he said. 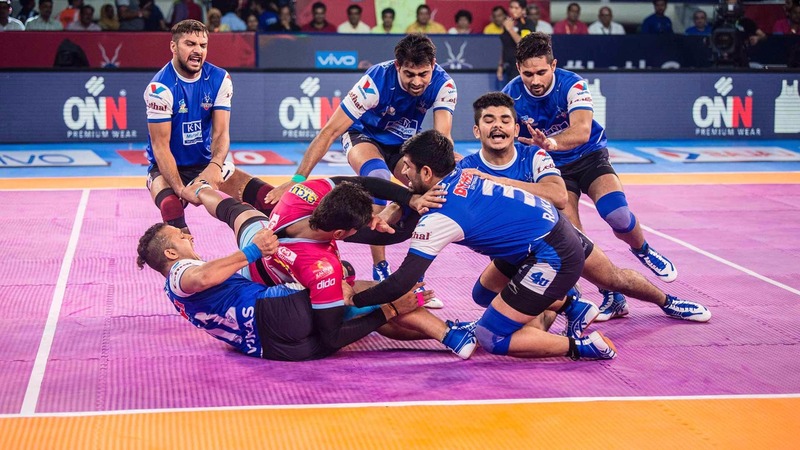 Jaipur Pink Panthers, who have played five games lesser than Steelers are placed fifth in Zone A, and are heading into the contest after an eleven-point victory over Dabang Delhi Kabaddi Club at Ranchi. Speaking about their last encounter in Sonepat where the Steelers held Jaipur to a 27-point stalemate, Khokhar said, "We are going for a win tomorrow. During our last game, we stetted for a tie because of one crucial error towards the end but this time we will leave nothing to chance and will start building momentum right from the beginning." Haryana Steelers who have played the most number of matches in their zone will look to consolidate their table-top position to make it to the playoffs. Confident of doing so, Khokhar said, "Our outings of late have been inconsistent, but we can't hold on to those results. With six games to go, we need to win at least three to four of those to qualify. That's why we have to be focused and sharp on the field." The Steelers have been without the services of their star defenders Surender Nada and Mohit Chhillar in the past two games but will look to bounce back as the corner-duo get set to re-join the team. "Mohit and Surender are fit now and are raring to go. In their absence, young Kuldeep and Vikas also delivered, so we were not exactly depleted. But once they're back, it will only add to our advantage for the upcoming games. The match begins at 8 pm and will be telecast live on Star Sports 1 Hindi, Star Sports HD 2, Star Sports First and Hotstar.